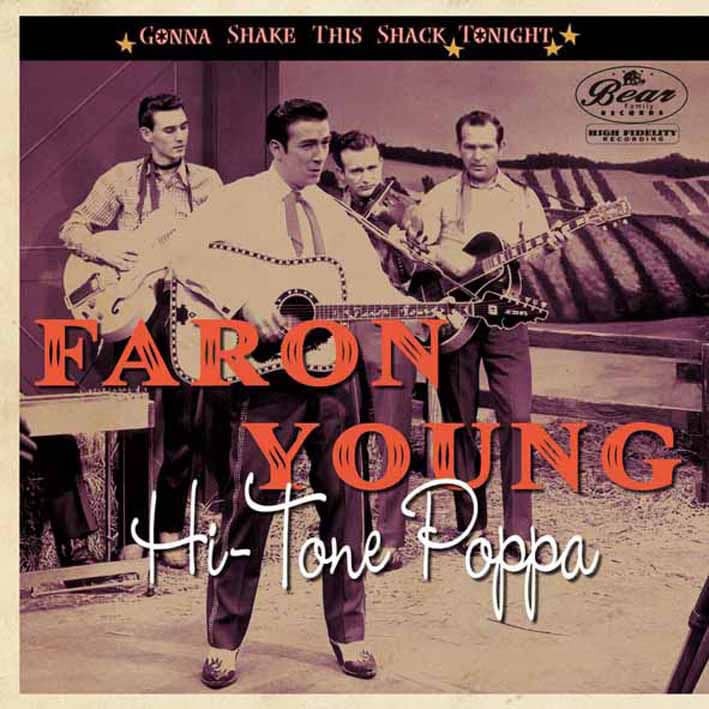 Faron Young was born on February 25, 1932 in Shreveport, Louisiana. This fact made him to know from the start the big bang of rock'n'roll and rockabilly, genres that will influence his country music ways. In his ten years at Capitol Records, where he was introducted from legendary Capitol's A&R man Ken Nelson himself, his music developed from hillbilly and honky tonk in the early 50's to sofisticated rock'n'roll and pop at the end of the decade, to came back strong to his honky tonk roots at the early 60's. 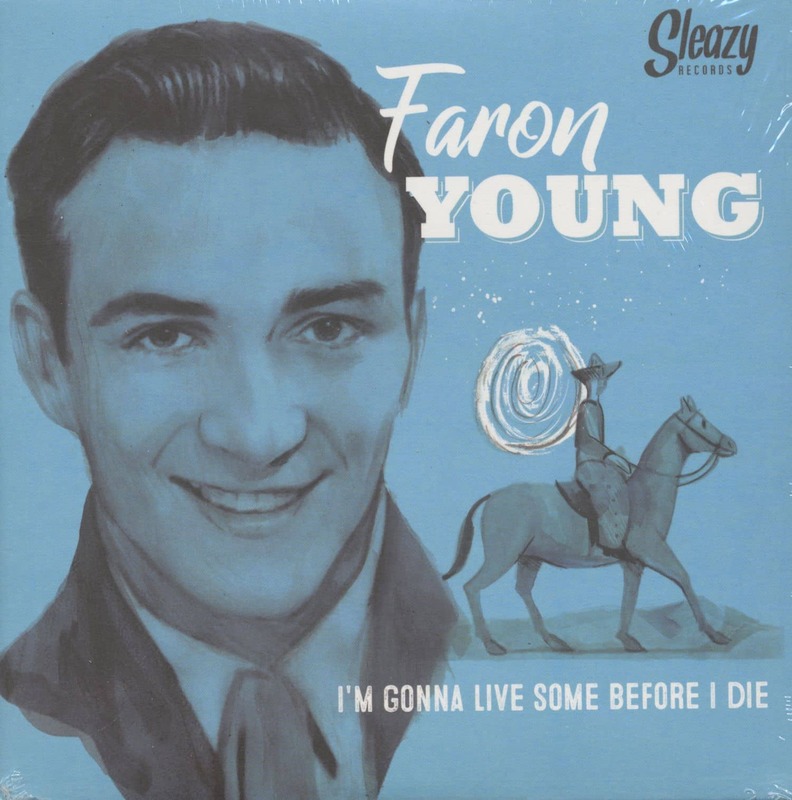 This EP collect four fantastic examples of his country ways from the mid 50's, when Faron was one of the most sucessed young singers in country & western. 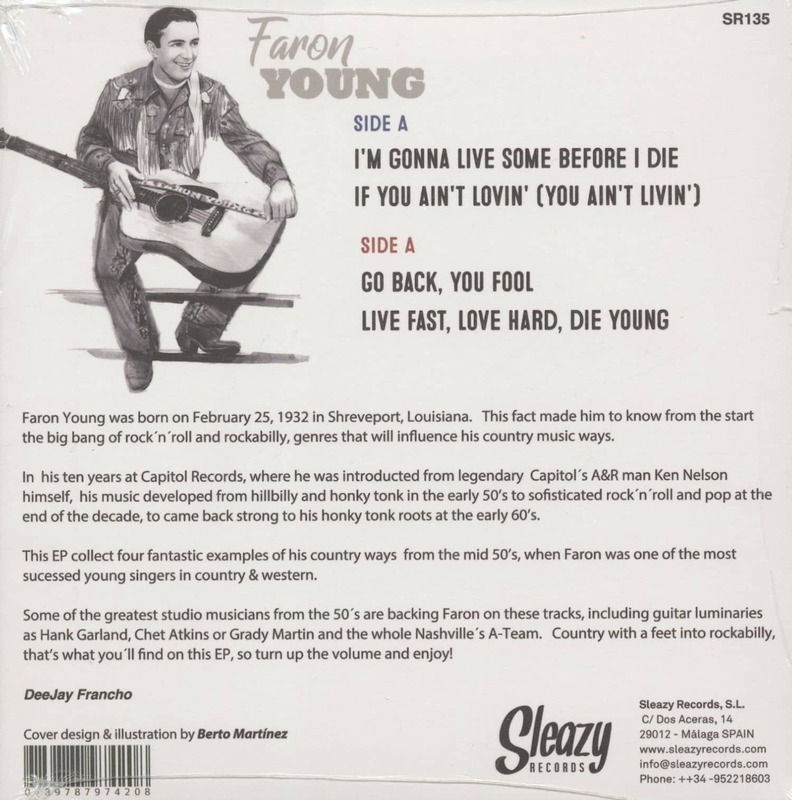 Some of the greatest studio musicians from the 50's are backing Faron on these tracks, including guitar luminaries as Hank Garland, Chet Atkins or Grady Martin and the whole Nashville's A-Team. Country with a feet into rockabilly, that's what you'll find on this EP, so turn up the volume and enjoy! Customer evaluation for "I'm Gonna Live Some Before I Die (7inch, 45rpm, EP, PS)"